Éva joined Kugler Kandestin in October 2017. 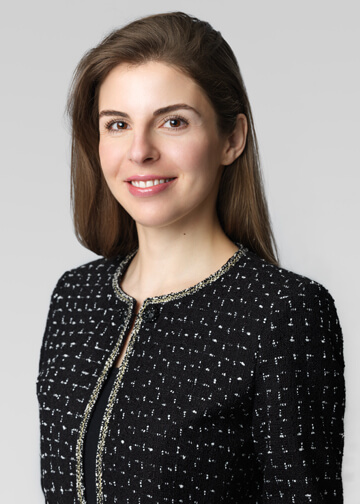 She previously completed a clerkship at the Court of Appeal of Québec for the Honourable Mr. Justice Allan R. Hilton from 2013 to 2015, and worked as an associate in a boutique civil and commercial litigation law firm in Montréal from 2015 to 2017. Éva is well-versed in legal research and writing, and has argued before several levels of courts in Québec. Prior to commencing her legal studies, Éva worked in Ottawa for the Office of the Public Guardian and Trustee, Ontario Ministry of the Attorney General. She also completed a Joint Honours Degree in Communications and Philosophy.